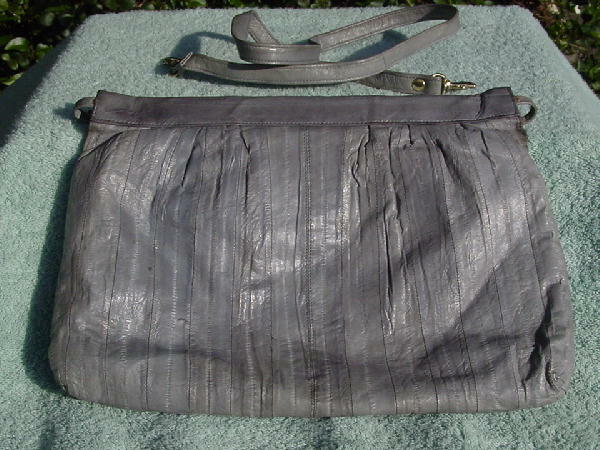 This vintage J. Renee medium gray eelskin purse is by Remac. The eelskin is extremely soft and has a matching eelskin 35" long shoulder strap. The pull-open wide mouth opening has metal in the upper, top seam, and spring hinges. The interior has a patterned light blue-gray fabric lining and a deep zippered back side pocket. 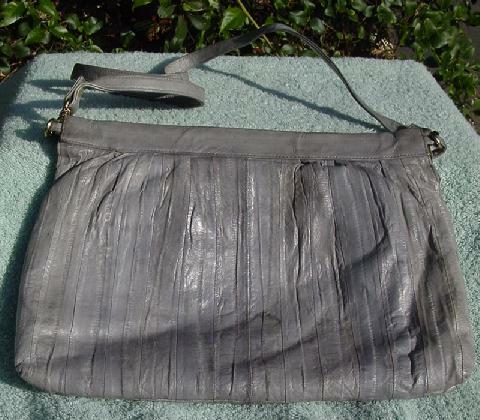 The strap is detachable so you can carry it as a clutch. It's from a Florida model.